Level 3 qualifications in any subject(s) that equate to 64 UCAS points – these points could be from your A Levels, Level 3 Diplomas, NVQs and an International Baccalaureate to name a few. Please view the table at the bottom of the page to check your UCAS points. If you have a degree but do not have level 3 qualifications that equate to 64 UCAS points you are still eligible for this route. Have achieved, or are due to graduate in 2019, with a Bachelor’s Degree or higher. You will need to attach copies of all relevant certificates to your application. If you’re not sure what your points are or if your qualifications are suitable, visit the table below or visit the UCAS points checker here – https://www.ucas.com/ucas/tariff-calculator. If you have not yet achieved the required Level 2 or Level 3 qualifications please do not panic. Our partners at Staffordshire University can help. They can offer information to help you access suitable courses without incurring a course fee. Alternatively, you may wish to contact your local college to find out about the courses they offer. We are committed to keeping recruitment open until the end of 2019 and we hope this will allow you enough time to gain the qualifications you need. Please do not apply until you have achieved the required qualifications as this will result in your application being declined. Please note that successful applicants will be required to undertake an assessment of prior learning with Staffordshire University and this may result in an alternative entry route being offered. If you’ve checked and you still aren’t sure please get in touch with us via email at ss_customerservices@west-midlands.pnn.police.uk and add ‘PC Application – Qualifications Query’ to the subject line. Please attach a clear copy of your certificates that state the awarding body, qualification title, year completed and grade achieved; if you weren’t awarded a grade please also include a copy of your transcript showing achievements of individual modules. How old you are doesn’t determine whether you’ll be a great officer, so we are happy to receive applications from people over the age of 18. If you want to join us, you will need to have lived in the UK continuously for the past three years. If you have been abroad during the last three years while serving in the UK Armed Forces or working for the UK government your application will still be considered. Ideally, you shouldn’t have a criminal conviction or cautions record. If you do have one, acceptance will depend on the age and nature of the offence. We are unable to state whether your convictions record will affect your application before you apply. This will be determined from the full and confidential information provided during the recruitment and selection process. If you don’t tell us about any cautions, investigations or criminal convictions that may be linked to you at an early stage, your application could be refused simply because you weren’t being open and honest. It might have been accepted if you were; so if in doubt, please do tell us. To assist we have produced a short guide about cautions, convictions and vetting which you will be sent with your forms if you are successful in the initial stages. Due to the nature of policing, it’s essential that we conduct rigorous vetting checks on successful applicants before they can join the programme. These checks will include personal details taken from you as well as from close family members and significant others. It’s also important that you are not under pressure from un-discharged debts or liabilities and that you can manage loans and debts sensibly. Further details can be found in the FAQs. Being a police officer can often be tough and demanding and therefore it is important all new recruits are fit and healthy. All medical criteria will be checked – including eyesight, hearing and Body Mass Index (BMI must be at least 18 and no more than 30 – to calculate yours, visit: https://www.nhs.uk/live-well/healthy-weight/bmi-calculator/). This part of the process will be managed by the force’s occupational health team. You need to be able to manage day-to-day life without a problem and it is expected you won’t be regularly having sick days off work. However, if you need regular medication to stay healthy, you may still be accepted, as long as you can provide evidence of being able to manage this yourself. Every candidate receives a detailed individual assessment and we can accept candidates with many common health conditions, as long as they are under control. However, if you can’t carry out the role safely without putting your own health at risk, or you can’t meet some of the core requirements, you will not be found fit for the job. No one is rejected because of a medical label. 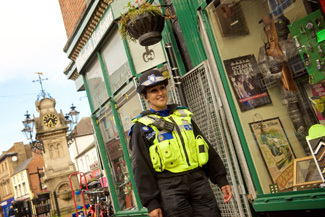 The Equality Act 2010 covers all police forces we recruit for and if you have a disability, adjustments will be made if it is reasonable to do so. If you have a health problem, or you’ve recently had a lot of time off, try to bring a copy of your medical records or a note from your doctor with you to your medical assessment. The fitness test, also known as the bleep test, is a continuous series of shuttle runs between the two lines, 15 metres apart. You will need to complete this as part of the selection process. The time allowed to run the distance is indicated by an audible “bleep”, and the interval reduces over time, so that the runs have to become progressively faster. There is a standard national achievement level required of a minimum of four shuttles at level 5 to pass. Having a good standard of vision is important as a police officer. The standard you need to meet either with or without glasses or contact lenses is listed below. You may have seen a chart like the diagram below at your optician’s. The actual chart is much larger and is read from a distance of six metres. Each line equates to a standard. If you wear glasses or contact lenses you also need to reach 6/36 without your glasses or lenses. 6/9 with both eyes together (aided). 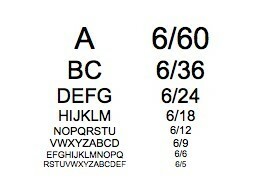 If you are unsure what this means for you, visit your optician and check your current prescription. The use of colour correcting lenses is not acceptable. Severe colour vision deficiencies (monochromacy) are not acceptable. Mild anomalous trichromacy is acceptable. Severe anomalous dichromacy or trichromacy is also acceptable but you will need to be aware of the deficiency and make appropriate adjustments. We know some people like to express themselves with body art, however anyone who has a tattoo which could be reasonably interpreted as offensive to any religion or belief, or is in any way discriminatory, violent or intimidating, will not be accepted. In line with the College of Policing’s national guidance we will carefully consider the size, nature and prominence of visible tattoos on the neck, face or hands to determine if they are acceptable. If you do have a tattoo on your hand, face or neck you will be required to submit photos with your application. You will need to be prepared to remove facial piercings. If you are currently using any illegal drugs this will automatically rule you out of the recruitment process. On application you must agree to have a drugs test, as well as having a DNA sample and fingerprints taken for the purpose of conducting a speculative search against the national database. The Police Service strictly prohibits any of their officers or staff from becoming members of organisations whose aims and objectives may contradict the duty to promote race equality, e.g. the BNP, National Front or Combat 18. If you are, or have been, a member of such an organisation you are not eligible to apply. Police officers are not permitted to take an active part in politics. 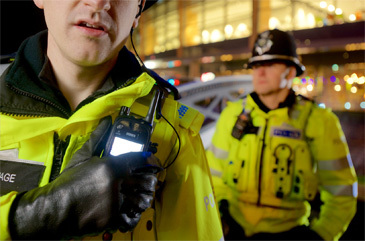 You’re only able to apply for the role of police officer to one police force/service at a time. 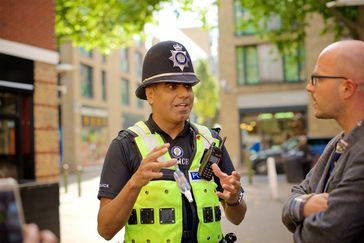 You can apply for alternative roles at West Midlands Police and other forces, for example Police Community Support Officer or staff opportunities. Throughout the assessment process we will assess your alignment to our values. This includes if you, or one of your close relatives, holds a licence or permit relating to alcohol licensing, refreshment houses or betting and gaming or regulated places of entertainment in the force area. There are many different types of BTEC, among the most popular is the Pearson BTEC Level 3 National Diploma.